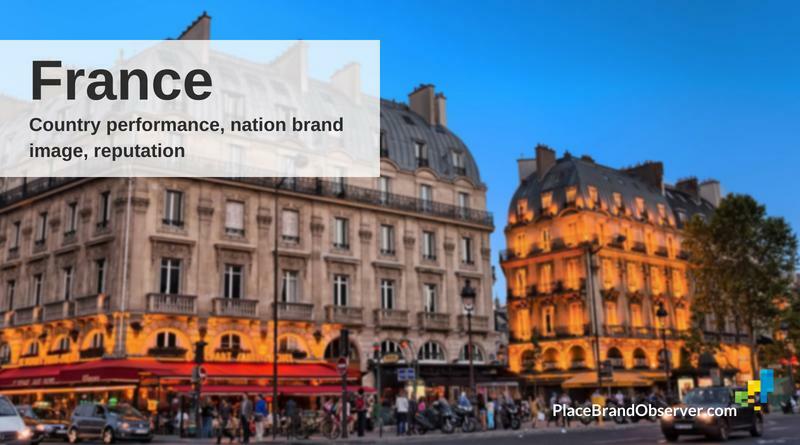 France: how does La Grande Nation perform in global rankings measuring talent attraction potential, public diplomacy, soft power strength and environmental sustainability? How is Emmanuel Macron’s governing influencing the international reputation of France? Answers in this summary of global reports, studies and rankings on country performance, brand image and reputation. The value and reputation of France as nation brand. What are the pros and cons of doing business in France? France’s overall ranking in the 2018 Ease of Doing Business index is 31st, which is identical to its position ten years ago. While its performance in this ranking has been fairly stable throughout the past decade, France's ranking deteriorated by four positions between 2016-2017. In the 2017 report, France was the absolute leader in trading across borders (1st) and also scored high for enforcing contracts (15th) and dealing with construction permits (18th). However, options for getting credit (90th) and registering property (100th) in France were ranked significantly lower. WEF’s Global Competitiveness Index 2017-2018 ranks France 22nd, one position down from its previous edition. The country scores highest in the dimension of infrastructure (7th) and market size (8th). Business sophistication and innovation also receive a solid score, ranking 16th and 17th, respectively. This index gives the lowest score to France’s macroeconomic environment (63rd) and the efficiency of its labor market (56th).